Life with Lucie & Ella: Ella Turns 2! Yes, that's right, Ella is officially two! She had her birthday on January 26th. Because we had just returned from our Kansas trip, we had a pretty low-key celebration. The day before her birthday, we had our Bible Study and I was assigned to bring dessert. So, I made a birthday cake (and cupcakes for the kids) and we sang Happy Birthday to Ella. 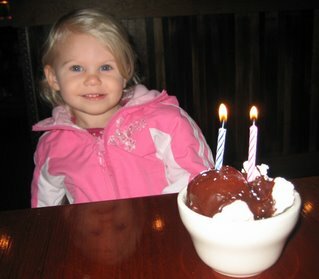 Then on her birthday, Brett, Ella and I went out for dinner at Firestone (one of our favorite places). Ella got her own "kid's meal" -- a gourmet hot dog, yummy fries and a glass of milk. She did a fantastic job eating...afterwards she just sat back and looked at the ceiling. It was pretty funny. Since we had cake the day before, we just celebrated with a scoop of vanilla ice cream with melted chocolate sauce and two candles. Afterwards we came home and opened presents that friends and family had either mailed or given to us ahead of time. 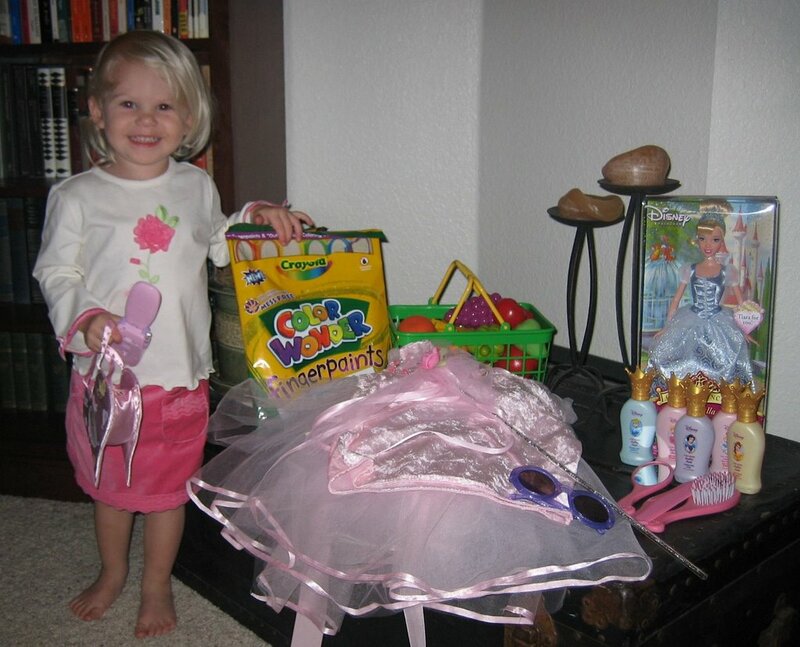 She got lots of wonderful things that she has really enjoyed since then.